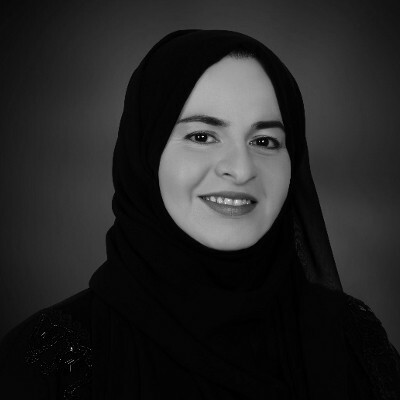 Dr. Asma Ibrahim Al Mannaei, Director, Healthcare Quality Division | HAAD | Fleming. 1) As a regulatory body, Health Authority - Abu Dhabi (HAAD) continues to strive for patient excellence in the region. What are the common challenges faced by HAAD when pursuing / trying to improve patient experience? What is being done to improve it? The common challenges faced by HAAD when pursuing / trying to improve patient experience, is that patients’ expectations are continuously increasing, and values have continuously changed through generations. On other hand, it was challenging to find a valid methodology to measure patient experience. HAAD finally commissioned an independent provider to interview 72,200 patient per year in a survey across the whole Emirate of Abu Dhabi. 46,200 forms were completed, achieving a response rate of 64%. The survey covered 54 questions using a methodology that was validated internationally and used by many countries, including the US, UK, and Qatar. Annual survey results have become integral part of Abu Dhabi Healthcare Quality Indicators - JAWDA that aims at improving the quality of the healthcare services in Abu Dhabi. JAWDA performance has recently been linked to providers’ payment, which created an even stronger incentive for all providers to improve patient experience. 2) For effective patient care, it is important to have a patient-family centric approach. What are the steps one must ensure for patient experience across the continuum of care? HAAD emphasize the important of patient-family centric approach, through including important KPIs for measuring the primary and family care quality, in addition to other measuring indicators for clinics and centers. Since “continuum of care” is also part of the five-year Health Sector Strategy, HAAD has launched a number of comprehensive initiatives to improve in this field. 3) What do healthcare stakeholders do internally to impact a culture of patient care amongst its people? The Jawda system and patient satisfaction survey developed and improved through the interaction of HAAD and healthcare stakeholders, in particular providers. All quality and patient satisfaction data are reviewed with all hospital providers. Integral part of those provider meetings are action plans to improve quality and patient experience. One of the main goals of this process is learning, education, and the establishment of a culture of quality. Moreover, HAAD supports several conference, and organizes workshop to interact with healthcare stakeholders and consulting them how to measure and monitor and improve quality in the most effective way that is fit for our culture and needs. Technology is very important to achieve high quality care; we have automated system linked with all hospital to collect data in quarterly and monthly basis. The automated data collection makes the process more efficient and will soon enable stakeholders to monitor their performance just-in-time and take immediate corrective action if required. Moreover, the implementation of further e-health services will help to increase quality and access to healthcare and thus help to improve patients’ satisfaction. 5) As the first event on Patient Experience for the GCC market, what is the precedence you wish this event to set for healthcare providers? Promote the idea of focusing on the patient needs and the patient's expectations. Sharing information, and GCC and international best practice. Improving awareness and the culture of quality.